Facebook clearly doesn’t have as many admirers as it does a few years ago. Being the largest social network has its vast share of problems which range from fake news and spam, to cyber-bullying and identity theft, to naggy and unsolicited notifications, and of course the ever-lingering privacy claims. Even founder and CEO, Mark Zuckerberg, recognizes these issues and at the beginning of the year had promised that Facebook is headed towards a positive change. In the months since, Facebook has made a number of changes to reduce its reliance on brands and publishers for content consumption, amended its ads policy to ban Russia-based political ad buying and is trying to get rid of the reputation of being opaque when it comes to privacy too. While the company is both optimistic but cautious about its path ahead, one of Facebook’s other founders might have some advice to share. Chris Hughes, whose two percent stake in the company would have been worth more than $10 billion had he not traded it, says that the only option for Facebook is to reinvent itself. He said that responsibility for cleansing the internet of fake news lies with Facebook and Zuckerberg, given the size of the platform. Hughes, who recently authored a book called Fair Shot: Rethinking Inequality and How We Earn, says that the fierce nature of Facebook – mostly borne out of Zuckerberg’s personality – is dangerous for the company and sets a bad example for the American economy. 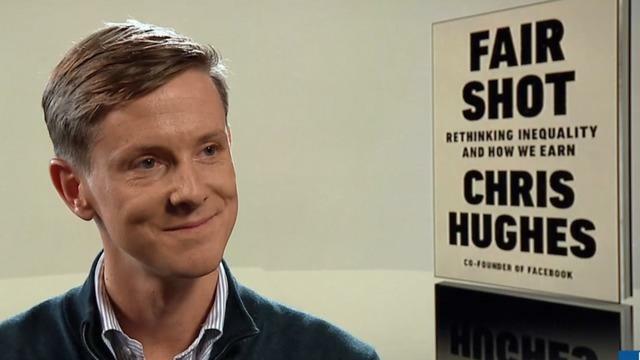 The book is centered around practices that are smothering innovation in the American economy which, Hughes says, is in a dire state. Facebook recently announced that it will launch user survey to make users feel more treasured, improve engagement, and promote trustworthy news. It also promised users complete control over the privacy of their posts. Nearly around the same time, the platform also received criticism from noted sociologist and technology commentator Zeynep Tufekci for blindly chasing growth and metrics. It was also caught under fire for patenting a technology that determines a person’s social class based on several parameters. With so many promising claims, Facebook has a lot to accomplish this year and it remains to be seen if Zuckerberg will succeed in his aspirations or will have to concede to Hughes’ advice.